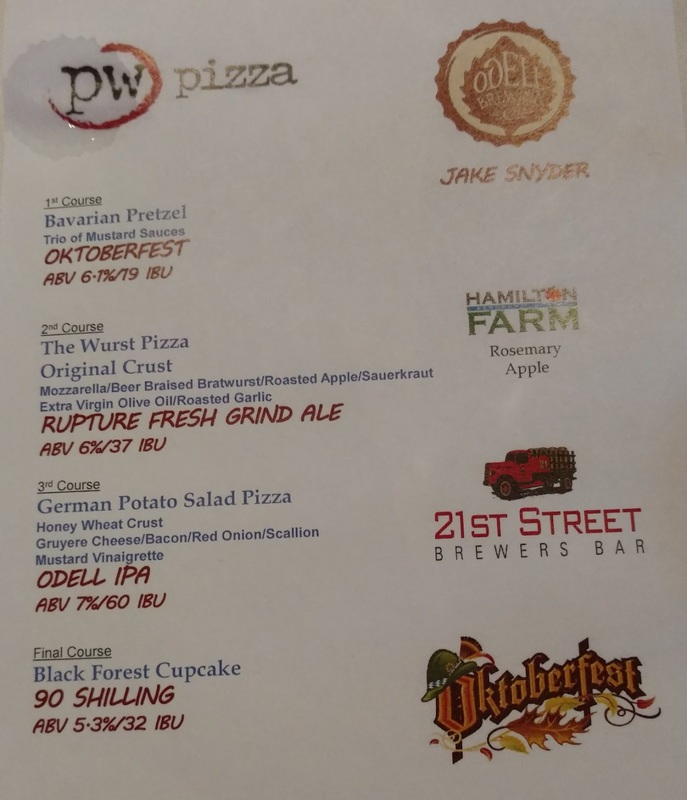 While the name Odell Brewing sounds familiar, I really wasn't familiar with any of their beers. 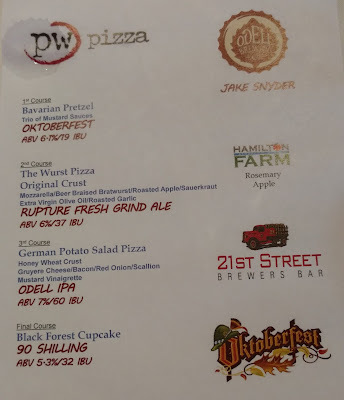 My favorite pizza of the night was the Wurst Pizza, but it wasn't the worst by far! Ha! 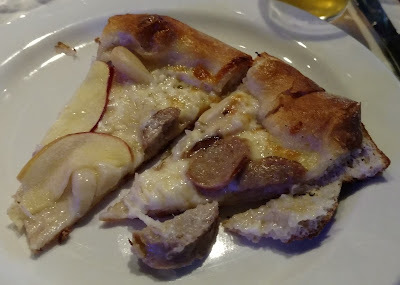 The apple chunks, mozzarella, and sausage went well together as you would expect, although the Rupture Fresh Grind Ale was too hoppy and overpowering. At first I thought they had accidentally served the IPA a round too early! 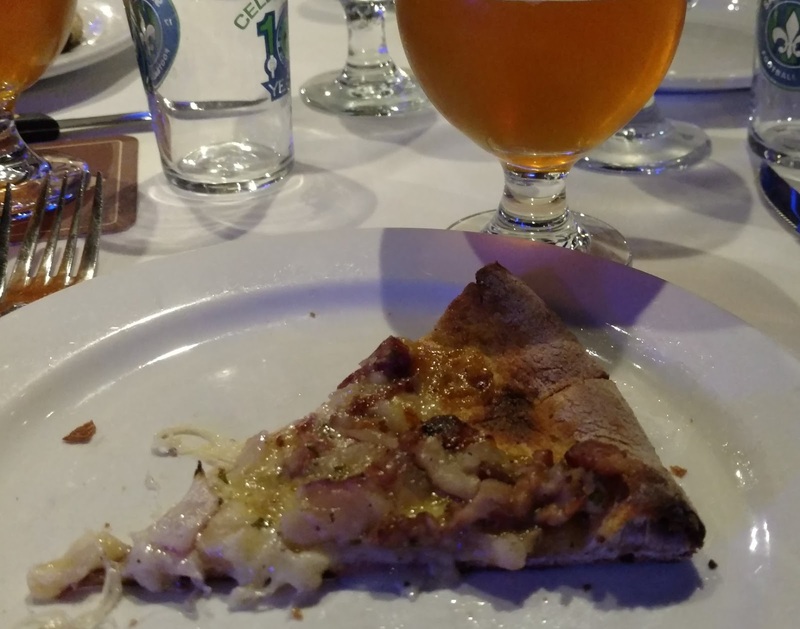 The German Potato Salad Pizza was definitely something unique and I ended up getting extra slices of this one. 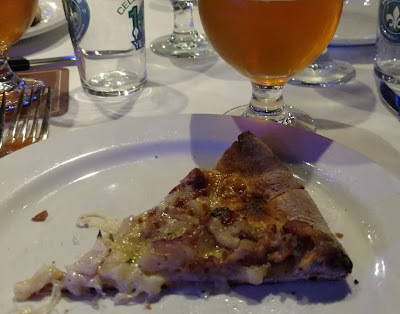 The mustard vinaigrette and Gruyere cheese made this a tasty pizza, but again, the Odell IPA was way too bitter for me. 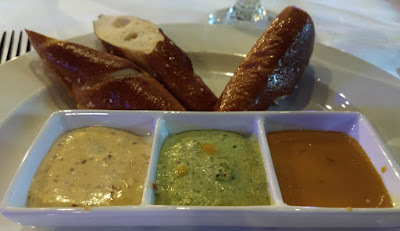 I even made the "bitter beer face"! 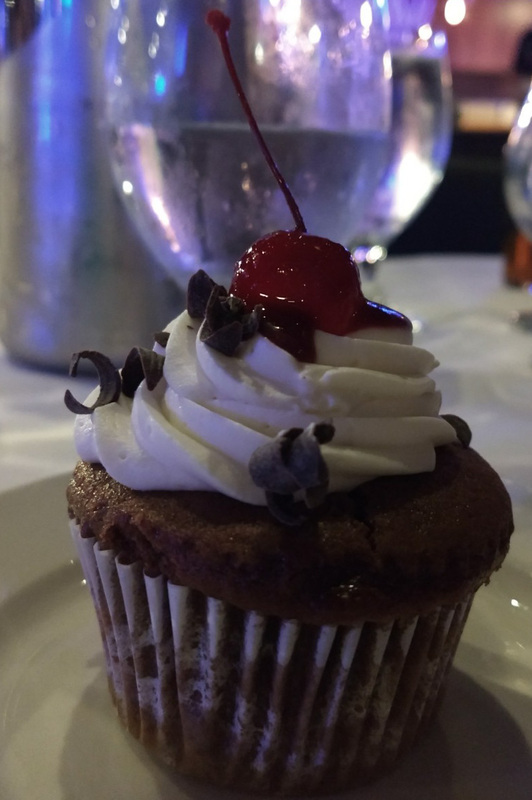 Dessert was another winner with a Black Forrest Cupcake...chocolate for the second month in a row too! The 90 Shilling is a Scottish-style Amber Ale and was also quite strong despite the mid-range level of IBUs. Luckily, I got extra cupcakes from my table mates after donating most of my beers!